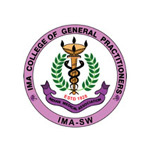 Indian Medical Association College of General Practitioners IMACGP is a key Academic wing of the IMA that was established in 1963, encourage, foster and maintain the highest standards in General Medical Practice. The IMACGP has been conducting various courses in collaboration with Indian and International Universities and thousands of doctors have graduated and thus upgraded their skills through such programmes and CME activities. MEdRC supports the IMACGP to offer online courses to all its members. TDB Technology Development Board, Dept. of Science & Technology, Govt. of India is a statutory body that promotes development and commercialization of indigenous technology. The TDB has supported MEdRC through R&D funding as an Innovation of National Interest. Martin Luther Christian University, Shillong, was created in accordance with the UGC Act, 1956 under Section 22 of the UGC Act. One of the main objectives of this innovative University is to encourage interactive, distance, online and networked learning using modern Information and Communication Technologies. MEdRC is an Online College affiliated to MLCU and the University accredits MEdRC’s courses and awards certificates, fellowships and diplomas. 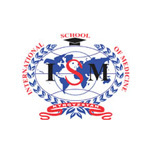 IMA-SW One of the major goal of the Indian Medical Students Association Academic Wing is to impart knowledge to members about how to plan their future by helping them to reshape their vision and perspectives of life and their goals. MEdRC supports the IMA-SW by offering online courses to benefit the careers of all its members. Universities Press focuses on the publication of books in Science,Technology, Medicine and Management. UP e-books are offered on MEdRC’s UGMed Tabs. Intelligent Communication Systems India Ltd. is a joint venture of Telecommunications Consultants India Ltd. (TCIL), a Govt. of India Enterprise, under Ministry of Communications & IT and Delhi State Industrial and Infrastructure Development Corporation (DSIIDC). 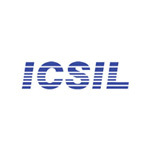 ICSIL offers MEdRC’s solutions to government as a systems integrator.